BELLVILLE — The Colts struck quickly on offense and its defense limited River Valley to 80 yards of total offense in posting a 48-6 win on Friday night. 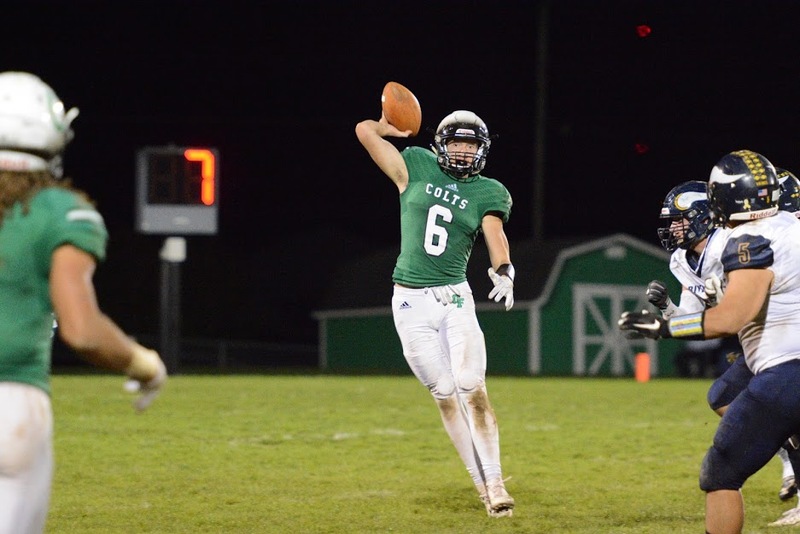 It was the sixth win in as many outings for Clear Fork, which entered the game ranked second in Division IV, Region 14. The top eight teams in each region qualify for the playoffs. After a Vikings fumble Jared Schaefer hit AJ Blubaugh for a 20-yard touchdown. 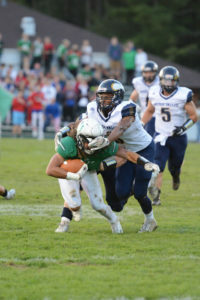 Trevon Trammell ran 4 yards and Zach Homerick connected with Caden Flynn from 29 yards out — all in the first quarter. Head coach Dave Carroll was pleased with his team’s effort, particularly up front. The result was a rushing game that produced 164 yards on the ground and another 265 through the air for a balanced attack. Homerick scored from 5 yards and Brennan South hit AJ Blubaugh for a 30-yard strike. Schaefer ran 50 yards for another Colts touchdown that put Clear Fork up at halftime 41-0. A running clock was in effect in the second half due to the 30-point or more margin. Brady Tedrow ran 25 yards for the final CF touchdown. Quarterback Jack Green went in from three yards out early in the fourth quarter for RV’s lone score. South completed five passes for 105 yards and a touchdown while Schaefer completed four for 96 yards and a score. Blubaugh caught four passes for 94 yards and two touchdowns while Flynn also caught four passes for 96 yards and a touchdown. 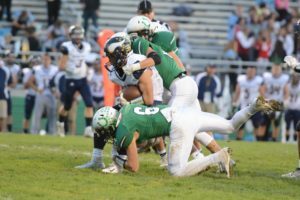 The stingy defense was led by Tedrow and Jay Swainhart with five tackles apiece. Michael Chillemi (one sack) and Schaefer added four solo stops. James Watts and Hunter Tollison also registered sacks. 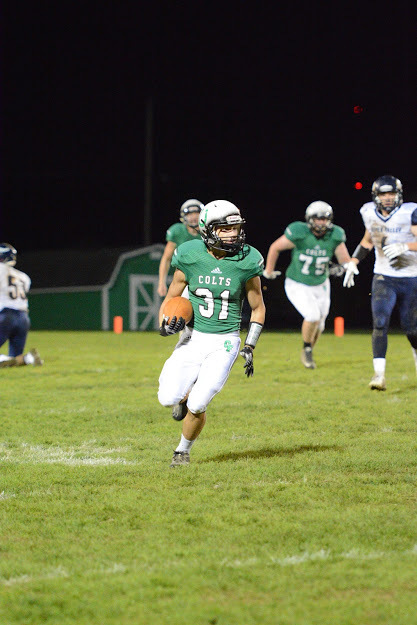 The Colts improve to 6-0 on the year and 3-0 in the MOAC and host Galion Friday at 7 p.m.